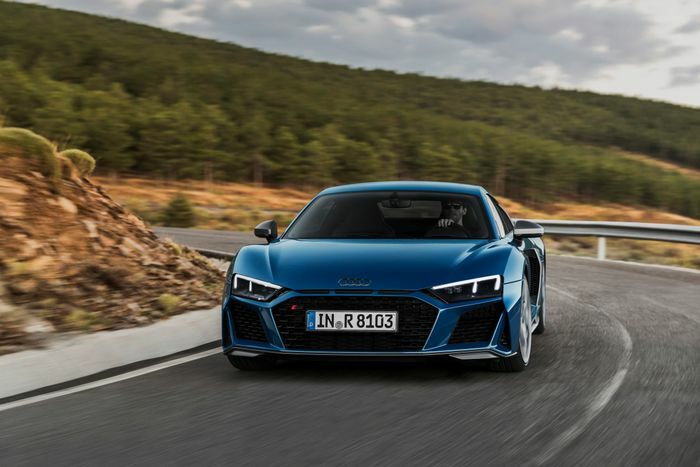 The new Audi R8 is “even more powerful and faster,” the German firm has said as the first official images are released. How much faster? 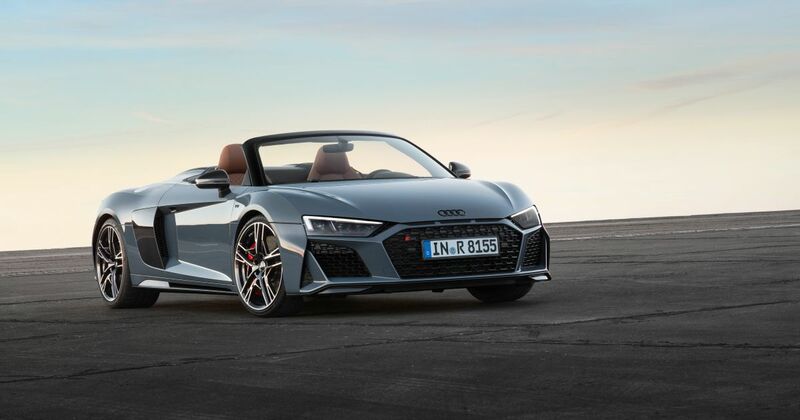 Well, the entry-level version now produces 562bhp up from 533bhp, while the output of the V10 Plus has grown from 603 to 611bhp. You’re looking at 0-62mph in 3.5 seconds for the former, and 3.1 seconds for the latter. The suspension and steering have been as heavily revised as the radical and angry new nose. 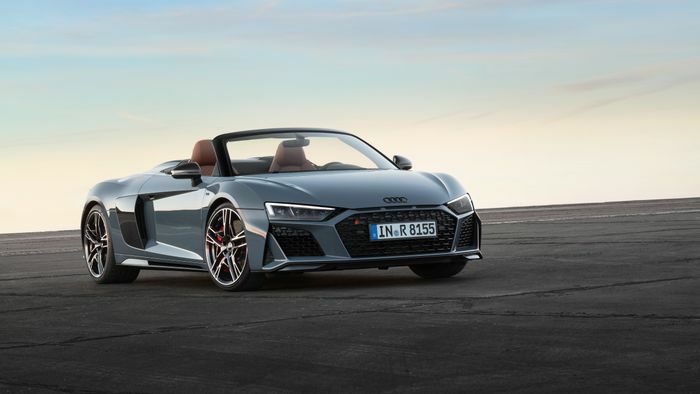 Both the standard electromechanical steering setup and the optional Dynamic Steering have been retuned to give improved response and, interestingly, better feedback from the road surface; an area that the outgoing R8 left room for improvement. Arguably the biggest changes listed in the initial release cover new driving modes. These engine-dependant modes span dry, wet and snow modes that don’t just alter the engine and gearbox maps: they now adjust the braking performance for the level of grip. 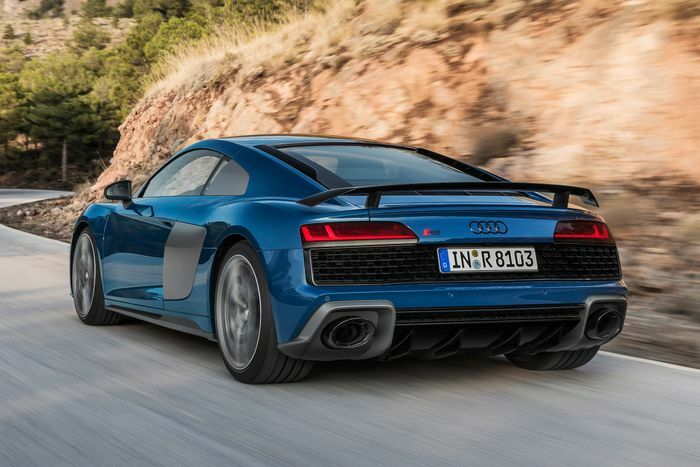 A clever new ESC stability control module can maximise the available friction to bring the flagship R8 to a halt faster. From 124mph, the stopping distance with the same standard steel brakes is as much as five metres shorter. While 19-inch wheels are standard, 20s are optional and will be a popular choice with buyers. Behind them you can spec carbon ceramic brake discs if you wish. Another trinket on the options list is a front anti-roll bar made from aluminium and carbonfibre-reinforced polymer, cutting weight over the nose by 2kg. 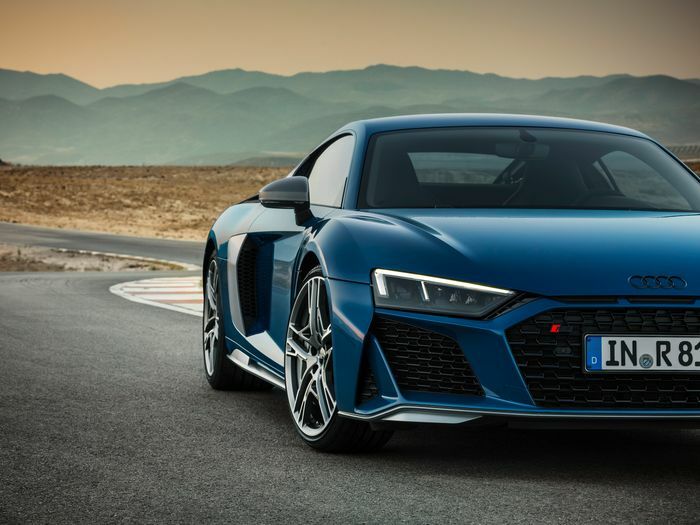 All Audi has said about the engine so far is that the normally-aspirated V10 in the R8 shares about 50 per cent of its parts with the GT3-spec racer and 60 per cent with the GT4 car. Nice to know. The dry-sumped unit will keep operating as normal even cornering at 1.5g. Both models will go on sale in early 2019.